March is the month of changes when we can see sun more often, feel spring breezes in our hair, and also see some ambitious snowflake, which, landed on ground soon disappears into soil. While enjoying unhurried walks in forest more often we can hear jolly bird calls and murmuring of spring waters. The silence of winter is filling up with the sounds of blossoming spring. First snowdrops are blooming in the warm sunbeams, they are a bright welcome to us and to the visitors of forest. 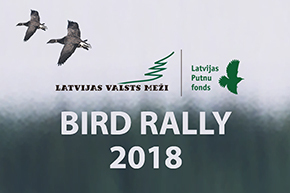 In March, LVM Pokaiņi Forest invites to hear the diverse spring sounds in forest!